ICMC Malaysia | Yibon Creative Inc.
❝ The International Catholic Migration Commission (ICMC) is a registered non-profit organization working in the areas of refugee and migration issues. ICMC was founded in 1951, in the wake of the massive displacement caused by the Second World War. 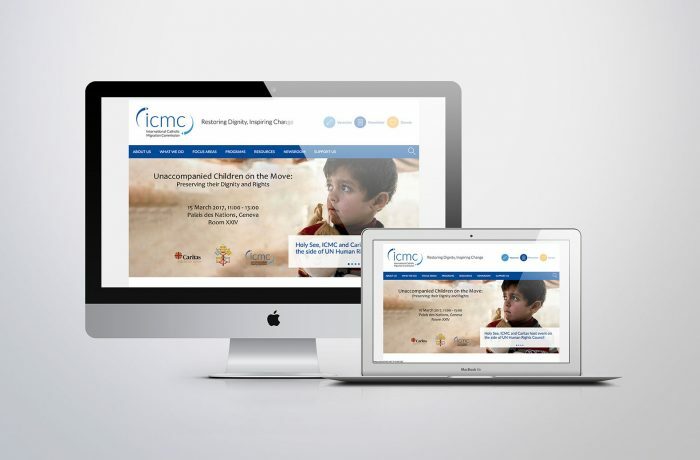 Initiated by the joint efforts of Pope Pius XII, Monsignor Giovanni Battista Montini (Vatican Secretary for Relations with States and later Pope Paul VI), and American layman James J. Norris, ICMC was created to coordinate the work of Catholic organizations in responding to the needs of migrants, refugees and displaced persons, as well as to advocate in the intergovernmental and governmental institutions on their behalf.